FACT CHECK: Did Amazon Pay No Federal Income Taxes in 2017? Did Amazon Pay No Federal Income Taxes in 2017? By the company’s own accounting, Amazon actually received a $137 million federal tax credit in the same year they earned over $5.6 billion in profit. Amazon paid zero dollars in federal income tax in 2017. The third negative item in the SEC filing, $789 million in reduced tax burden as a result of the 2017 Tax Act, will be applied to future tax years, according to a report from the Institute on Taxation and Economic Policy. The expansion of Amazon’s physical distribution network has coincided with a strategic business plan of negotiating millions in tax abatements, credits, exemptions, and infrastructure assistance from state and local governments in the name of regional economic development. By the end of 2016, Amazon had likely received over $1 billion in state and local subsidies for its facilities, which would include not only fulfillment centers but “sortation” centers that only sort packages, mailing centers, and other facilities. 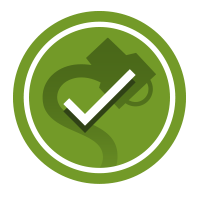 Options give executives and investors the right to buy shares of a company at a later date and at specific prices. For example, if a chief executive joins a media company when its stock is trading at $55 a share, but years later, the share price has skyrocketed to $100, that chief executive can still buy the shares at $55, pocketing the massive difference. In the cases of their highest paid employees, Amazon and other companies are able to deduct the “massive difference” employees make when they sell that stock at a profit. According to the Center for Tax Justice, “because companies typically low-ball the estimated values, they usually end up with much bigger tax write-offs than the amounts they deduct as a ‘cost’ in computing the profits they report to shareholders.” The $917 million in stock-based compensation listed in Amazon’s SEC filing likely stems from their top employees’ cashing in on their stock options for a large profit. 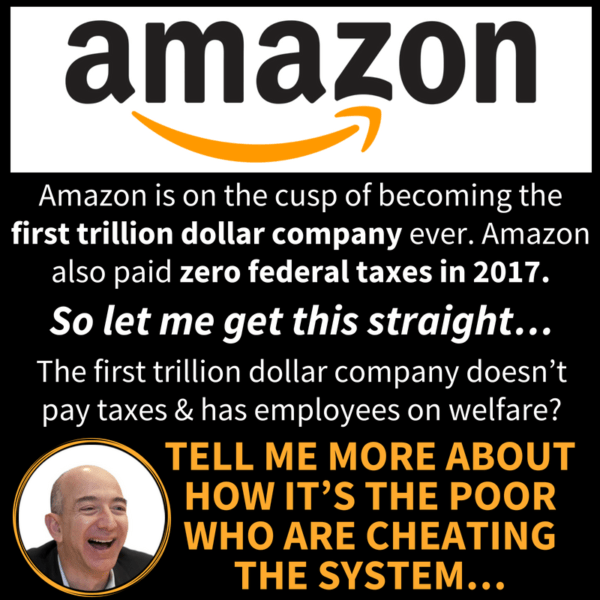 While it is impossible to know the exact amount of money Amazon did or did not pay to the federal government in 2017, their own accounting suggests that they expected their federal corporate income tax burden to be negative that year. Institute on Taxation and Economic Policy. 13 February 2018. Economic Policy Institute. 1 February 2018. The Wall Street Journal. 19 December 2017.